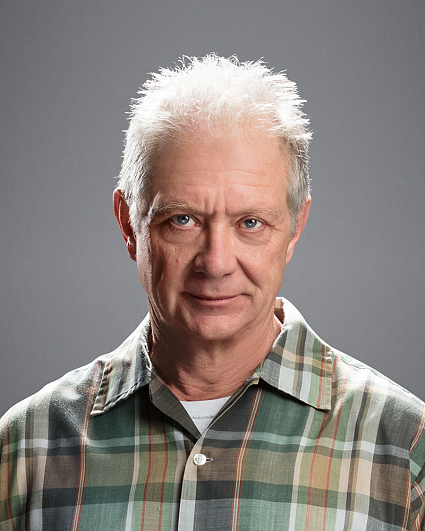 A gifted actor, Jeff Perry has starred in a wide range of roles across television, film, and stage. Most recently, Perry was last seen in the seventh and final season of the ABC hit series Scandal, opposite Kerry Washington, where he brilliantly played the fan favorite role of Cyrus Beene, the White House’s chief of staff. Prior to starring on Scandal, Perry was most widely recognized for his role in the long-running CBS series Nash Bridges. For six seasons, Perry starred as the diehard Grateful Dead fan and police inspector Harvey Leek, opposite Don Johnson. On the big screen, Perry will next be seen in the upcoming film Lizzie alongside Chloe Sevigny, Kristen Stewart, and Denis O’Hare and Trial by Fire alongside Laura Dern and Jack O’Connell. He has appeared in numerous films, including Stephen Frears’ The Grifters, Robert Altman’s A Wedding, and John McNaughton’s Wild Things. He is a producing partner of the indie film shingle Steppenwolf Films. Perry has guest-starred in numerous acclaimed shows including The Practice, Fringe, CSI, Lost, ER, NYPD Blue, Frasier, and Aaron Sorkin’s The West Wing. Additionally, he’s appeared in a number of recurring roles for hit series such as Grey’s Anatomy, where he played Meredith Grey’s estranged father, as well as My So-Called Life, Chicago Hope, and Prison Break. Perry is a co-founder of Chicago’s internationally acclaimed Steppenwolf Theatre Company, which he started in 1976 with Gary Sinise and Terry Kinney. An avid teacher, Perry co-founded The School at Steppenwolf and Steppenwolf Classics West. Perry has acted in or directed more than 40 productions for the non-profit company, including the 2008 Pulitzer Prize-winning August: Osage County, for which he received a Drama Desk Award nomination for Outstanding Featured Actor in a Play. In 2012 Perry was nominated for a Lucille Lortel Award for Outstanding Featured Actor in a Play for his work in the off-Broadway hit Tribes. His most recent theater in Los Angeles has been at the Odyssey Theatre Ensemble, where he appeared with Megan Mullally in The Receptionist, directed A Steady Rain and appeared with his daughter Zoe Perry and Kevin McKidd from Grey’s Anatomy in Anna Christie. Perry’s many acting credits at Steppenwolf include Balm in Gilead (also off Broadway), The Time of Your Life (also Seattle, San Francisco), Picasso at the Lapin Agile (World Premiere), The Grapes of Wrath (also Broadway and London), The Caretaker (also Broadway), and Streamers (also Kennedy Center). Currently, the theater produces up to 16 plays and nearly 700 performances a year.